As a children’s writer it is important to look closely at why children read. If you are going to write for children you have to appreciate why children bother to read for pleasure. Throughout all the age ranges one of the main attractions of literature is character identification. There is nothing more absorbing about a story than being able to identify with the central character. That means that the reader will laugh when the character laughs, cry when she cries, experience all the joys and terrors that she lives through. Finally your reader will enjoy the pleasure felt when that character has overcome her problems and experiences the eventual triumph. A second major reason why children read is to extend their experiences of life. Children have a tremendous desire to increase their limited knowledge of the world, people and human relationships. The best way for them to satisfy this desire is through reading fiction. Fiction writing provides children with almost any situation with which they can identify. The experiences they read about, and identify with, can be much more vividly emotional and enlivening than anything found in their own routine lives. This is achieved by the children mentally moving from the world in which they live and with which they are familiar, into the unfamiliar fictional situation which they can appreciate and enjoy. This phenomenon is known as ‘the willing suspension of disbelief,’ and this is how children identify with the character. For example, in Clive King’s ‘Stig of the Dump,’ a young boy literally falls upon another lad who dwells in a ‘cave’ in a rubbish dump and who uses rubbish to improve his prehistoric-like existence. The idea of this sort of thing happening is extremely appealing to young children. This is because it starts with the known – a rubbish dump – and moves to a semi-prehistoric kind of life which is so vastly different in terms of personal experience. It provides children with character identification which allows them to participate in the adventure, but to do so safely. The young readers can identify with the main character to a high degree, but at the end of the day they can close the book, knowing that however realistic it was and however much they enjoyed it, it was really only a story. This ability to place themselves in the observer role enables children to more easily identify with the action, characters and incidents without the obvious dangers which are associated with over-involvement. The readers remain sufficiently detached from the events to be able to apply their own personal values judgments to what is happening in the story. In doing so, children develop a much greater critical awareness, and thus their enjoyment of literature increases significantly. 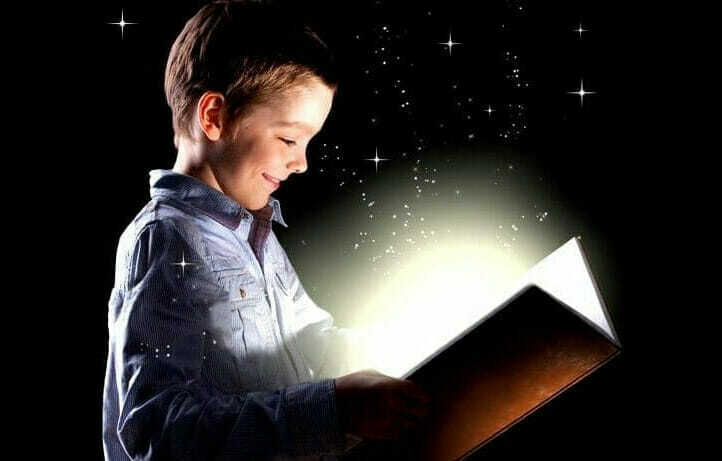 The final major reason why children read is so that they can build upon and enlarge their actual experiences. A young girl who is taking ballet lessons will almost certainly be interested in stories about ballerinas. A boy who has just been selected for the school football team will naturally be interested in sports’ stories. Interests, to a large extent, determine reading habits. Reading provides a base upon which children can build solidly, construct experiences and gather information which is new to them. How do these motives for reading affect the aspiring children’s author? Perhaps most obviously, if your material is to allow children to relate their own experiences to it, and identify with the characters in it, then some of the characters, preferably central ones, must be children. Not only this, they must be absolutely realistic. They must talk, act and think in a completely convincing way. Convincing, that is, to your young readers. In order to do this, you must learn how children think. You must understand their aspirations and their fears, why they laugh and when they laugh. You must put yourself into their shoes if you are to write convincing material. You have to meet them on their own level if you hope to be successful. That does not mean that you can ‘talk down’ to them. You must treat them with the respect they deserve if you are to achieve the necessary realism in your writing.